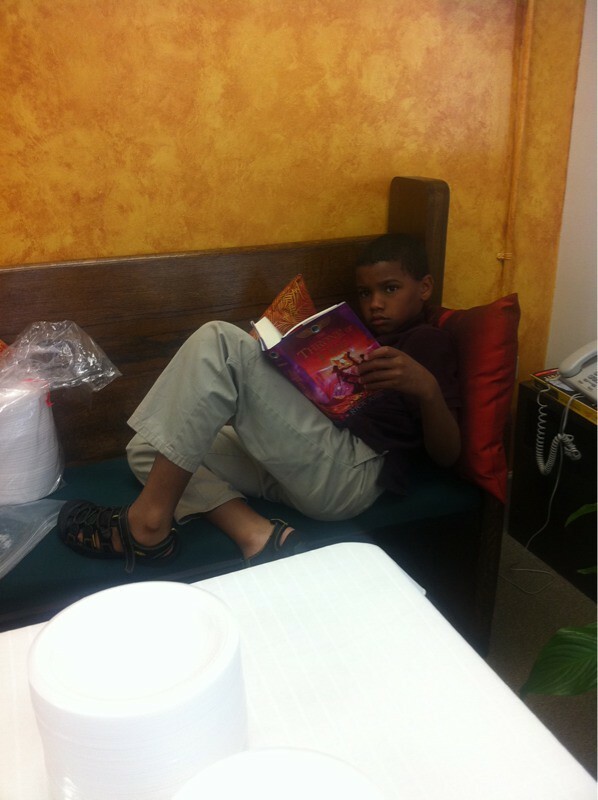 Young man, reading a good book, at church with his family on Sunday morning. This is the culture shift we seek, for future generations of American youth. Excited about learning, education, knowledge, making smart cool.